Integration to ApportDynamic Nav, Visma, Consignor etc. – Leading experts in the industry give advice on how to gear your e-commerce business for future growth. Job at ApportWant to be part of the team? About ApportWe put people before systems. For us, efficient warehouse management is about putting people over systems and think process over technology. Technology is an indispensable tool, but it is people who makes the change. Get advice for warehouse optimization and get well-equipped with knowledge for all phases of your WMS project. Download our white papers based on experience from both internal and external logistics experts. Where do you start, if you want to optimize your warehouse? Get advice from 4 of the industries leading experts. Is a WMS module in your ERP system sufficient – or do you need a dedicated WMS. Get the answer here. Avoid having your WMS project run off track with this checklist based on the most important take-aways from more than 70 WMS installations. Read all about why the warehouse is in need of business intelligence, how to use it and observe two companies already doing it. 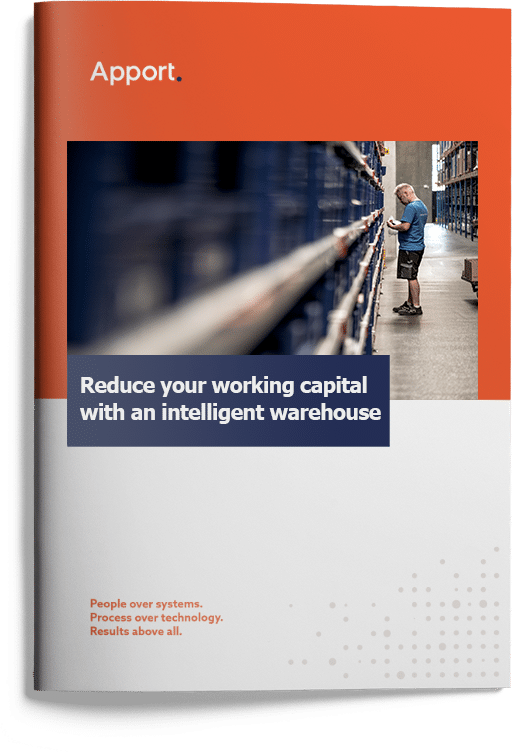 Focus on you working capital and free ressources for growth with our CFO’s guide to business intelligence in the warehouse.